These personalized silver cufflinks can be custom engraved with initials, names or dates. 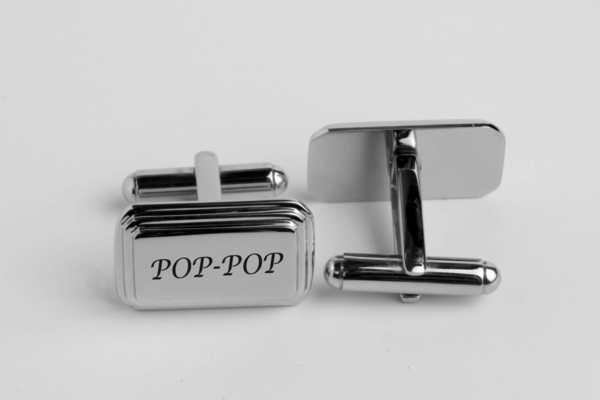 This is a stylish contemporary beveleded edge silver personalized cufflinks including a beautiful gift box. 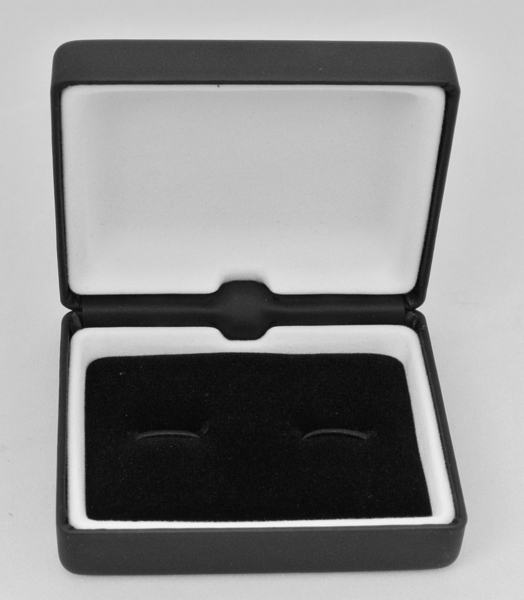 This pair of cufflinks with a rectangle shape flat with beveled edges in the top perfect for engraving. Looking to add some style to your new suit? Or do you need some engraved gifts for your groomsmen/best man? 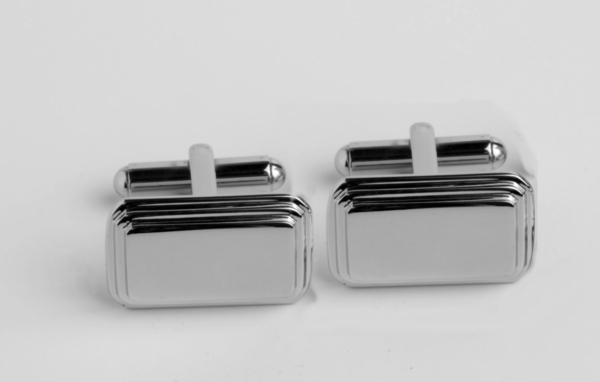 These engraved cufflinks are a great accent to keep your suit looking sharp. Each engraved cufflink can be personalized with a name or initials. By engraving a cufflink you add a sense of sophistication and style.